The Browns may not have a first-round pick, but when mock drafts go three rounds deep, it gets interesting to look at. I’m not projecting picks based on what I’m hearing around the league. No, this is me making three full rounds of picks based on what’s best for each team at that slot, so that each team gets an “A” grade. And it’s not easy to get an “A.” At each slot, I make a pick in the best interest of only the team with the pick. I try to address team needs, but value can supersede need. No trades allowed. I’m not projecting picks. This is more of a look at where I see value up and down the board, based on my rankings. Now we get to the teams without first-round picks, starting in Cleveland, which has Odell Beckham Jr. instead. Think the Browns are excited about that? They have an exciting, young roster that could compete for an AFC North title. Adderley has stellar ball skills and could play immediately in their defensive back rotation. 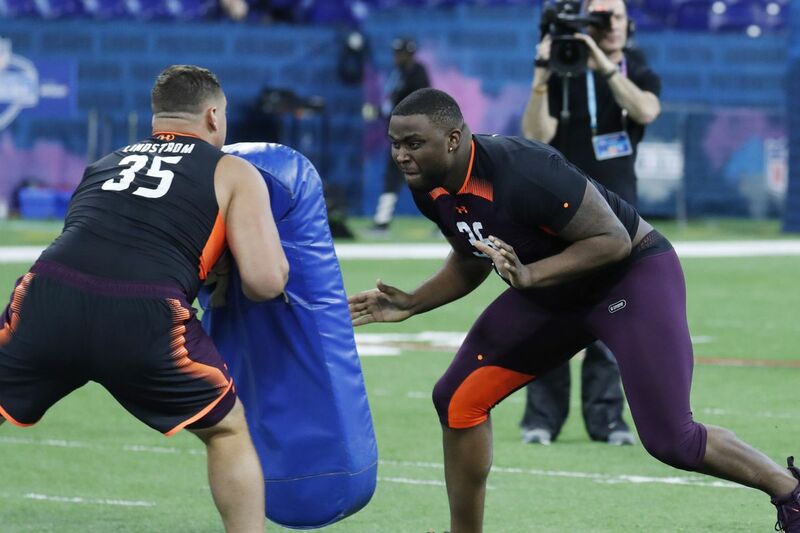 Little, a former five-star prospect, has seen his stock drop since he entered the draft, but this is a dominant left tackle with tremendous feet when he’s at his best. The problem is that there were too many lapses on tape. He has starting potential. I would be a fan of this combination, even though Cleveland is missing out on some defensive line depth. Adderly gives them an option at safety, while Little could be polished to be considered a starter one day. Daily Dawg Chow (4/22/19) More of the latest Browns news and notes from around the web in today’s dose of the Daily Dawg Chow. John Dorsey a top 4 GM, per NFL.com General manager rising along with the Browns after a busy offseason.